Turkey is known worldwide for its natural wonders. Among these are the legendary Fairy Chimneys. A destination where nature and history merge, Cappadocia draws attention as one of the world’s mysterious places. With houses and churches carved by hand into the soft rock generated by prehistoric volcanic eruptions, the region is also renowned for its underground cities. The Cappadocia tour covers the Aksaray, Nevşehir, Niğde, Kırşehir and Kayseri provinces; and each city has its own story, artefacts and cuisine. Avanos, Ürgüp, Göreme, Üçhisar, Ihlara and the neighbouring vicinities comprise rocky Cappadocia. Carved since the Palaeolithic era, these caves were used as shelters by Christians from the third century and onwards and by the Seljuks after the 11th century. Today, Cappadocia offers unique experiences: cosy cave hotels, stunning rock formations, and a flight in a hot air balloon – the region is considered one of the world’s best places for hot air ballooning. 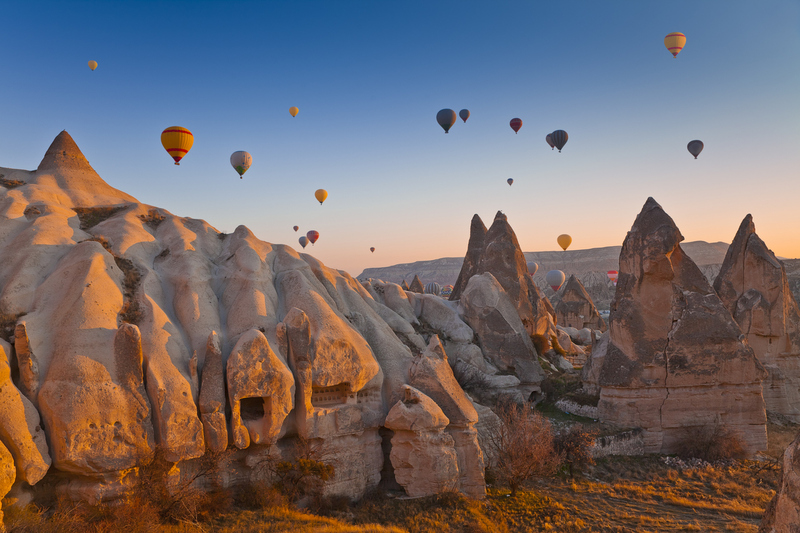 If you are considering a trip to Turkey, a Cappadocia tour should be included! Shuttles and taxis are available from the Kayseri airport to Cappadocia (73 kilometres). There are also public buses from Kayseri city. In Cappadocia, public buses and minibuses are available, as are taxis. As Cappadocia’s popularity has grown, accommodation options have expanded. The area offers a wide selection of places to stay, including hostels, chain hotels and, of course, the area’s famous cave hotels – which range from cosy to luxurious.